Getting into wine can be daunting. With countless styles, varieties, and producers, navigating even the most basic wine list, or picking the right bottle from an unending sea of wines on a supermarket shelf can seem an impossible task. Of course there are a wealth of different ways to start learning about wine but it simply doesn't get any better than rolling up your sleeves, bracing yourself for action and trying as many wines as you can. Wine tastings are usually the most informative and fun way to get started. They usually follow a theme (California old vine wines, Killer Cabs, Strictly Sangiovese and so on) and give you exposure to experts and other wine lovers - it’s a brilliant way to learn. 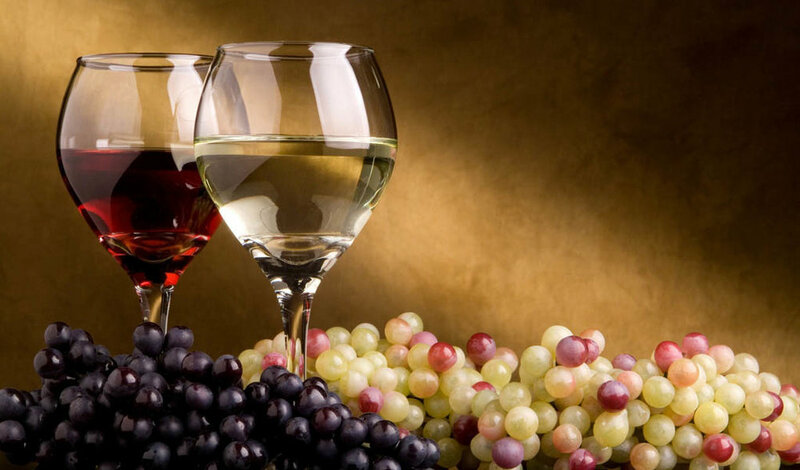 Wine tasting offers one of the few opportunities to try before you buy so you don't have to commit to anything before knowing that you enjoy the style or the specific bottle. London, in my opinion, now the culinary and wine capital of Europe, offers a vast range of informal and friendly tastings at no or low cost. The London-based retailers listed below do a good job at helping you get started on your journey into wine. However, before you let yourself loose, here are some simple tips to help you along the way; 1) always approach wine with an open mind (you never know what you will find), 2) bring a notepad or use your phone to take note of your preferences, and 3) have fun; few people are truly experts and it’s ultimately about what tickles your fancy. With shops nationwide, Majestic is one of the more accessible retailers with a wide selection of wine at all price points. Majestic always have a few bottles retailing around £10-20 of red, white and rosé open for you to taste. The styles on offer range quite a bit so it’s always worthwhile to pop in and see what they have open - to the point where I was pleasantly surprised one Saturday to find a bottle of La Rioja Alta 904 2007 (RRP £40) sitting in a decanter waiting to be tasted. The Winery is a small boutique wine shop in Maida Vale W9 that specialises in German Rieslings and Spätburgunders (also known as Pinot Noir) but also stock French, Italian, Spanish and Californian wines. They host free and informal monthly tastings that usually fill the shop to the point that people spill out into the street – during summer this can be quite fun! It’s a great opportunity to sample six or seven different wines always guided by their friendly and knowledgeable staff and sometimes the producers themselves. 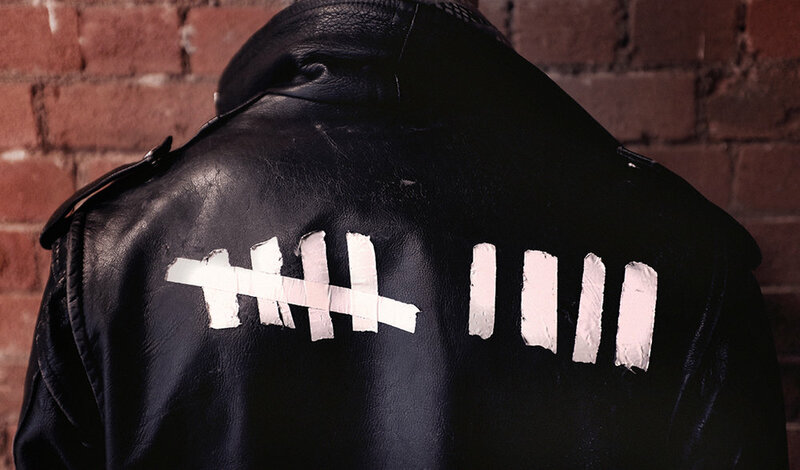 The tastings run from 17.00-21.00 and you can drop in at any time – no need to register beforehand. The Sampler has two branches in London, one in Wimbledon and one in Islington. Their goal is to offer 80 wines in each shop ranging from inexpensive party wines to the world’s finest bottles through enomatic machines. Enomatic machines dispense small tasting quantities and preserve the bottle using state of the art inert gas. This means that you can pay £4-5 for a small glass of a wine that would otherwise set you back £100+ a bottle. This is one of the best ways around to try premium and rare wines at very low cost. Bottle Apostle has five branches scattered around London in Victoria Park, Crouch End, Clapham, East Village and Primrose Hill. The concept here is the same as The Sampler, however Bottle Apostle stocks smaller and organic/biodynamic producers from across the world. All five locations have wine dispensing machines carrying a broad range of wines at very low price points, some as low as under £1 for a tasting. Every Friday between 4-8pm they run free tastings highlighting unique wines and new additions to their range. 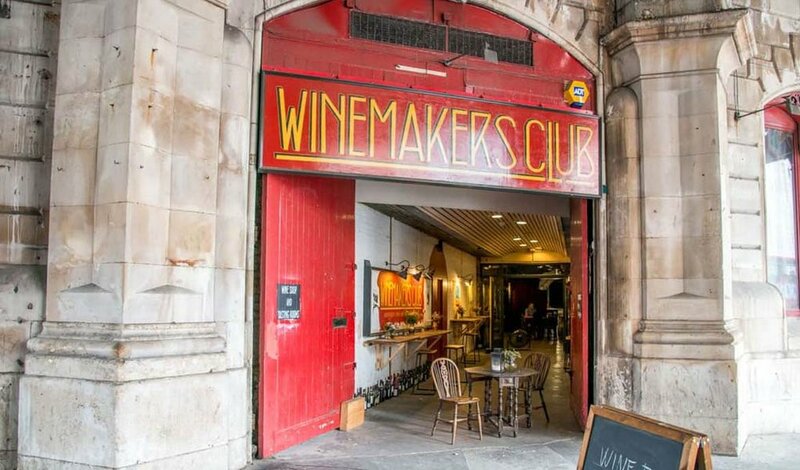 The Winemakers Club can be found in the atmospheric vaults under the Holborn Viaduct in the City of London. They specialize in stocking small producers that embrace organic and biodynamic practices in their vineyards and cellars. The Winemakers Club experienced staff run guided tastings usually focusing on specific regions or producers. With examples of previous tastings including “Natural Wine vs. Craft Beer” and “I’m not drinking any f***ing Merlot! A Merlot Tasting” – they really are as much fun as they sound. The staff manages to take you through the story of the wines while making you forget that you are sitting around a table with a bunch of strangers swirling delicious wine in your glass. Tastings, which are usually around £25, are held in an intimate private dining room and includes a shared plate of delicious charcuterie and cheese. Cellar Door Wines is based in St Albans (ok, this isn’t technically London but it’s close enough) and specializes in wines from small, boutique vineyards. Their selection of guided tastings is truly impressive, including masterclasses from top producers, all fairly priced between £10-15, including light snacks. 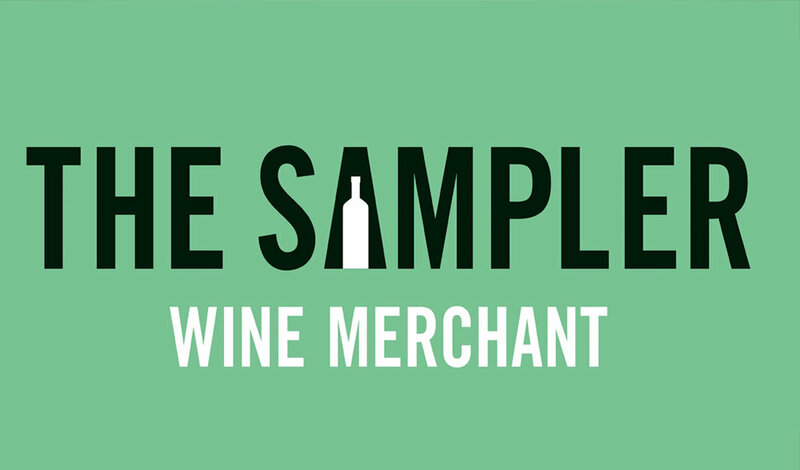 These are only some examples of merchants; it is always worth asking your local wine retailer if they run tastings, you never know. Other retailers that are worth checking out are Highbury Vintners, Lay and Wheeler and Vagabond Wines. Hopefully you found these fun, accessible and affordable ways to explore the world of wine useful. Perhaps the next time you reach for that wine list in your local restaurant, or select a wine from Waitrose, you’ll know exactly what you want to try. There is a world of wine waiting to be discovered so get out there and have fun. Chef Alberto Rossetti has a deep love and appreciation for pastas and risottos ingrained in him by his mother’s cooking back in Parma, Italy. 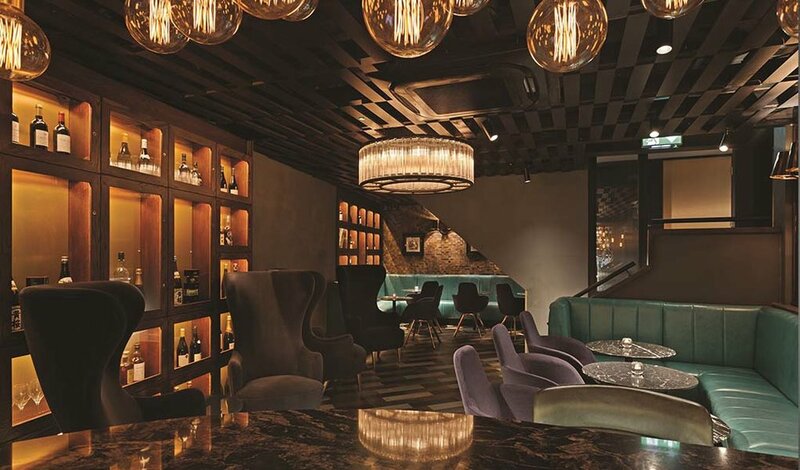 Now he wants to share that love with the rest of the world at the reopened Brunello Bar & Restaurant at the Baglioni Hotel in London. 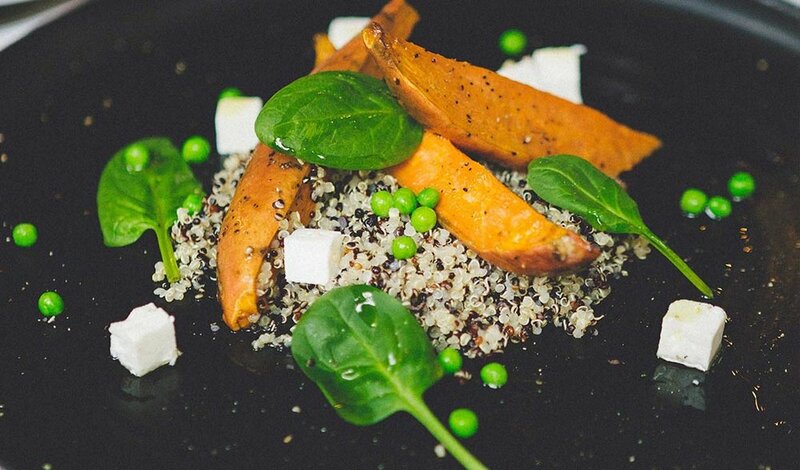 With a gorgeous view of the Kensington Gardens chef Rossetti wants to bring simple and sophisticated dishes to the hotel. The lunch menu is more informal fare featuring classic Italian dishes while the dinner menu is more sophisticated with more contemporary variations on the classics. Lobster risotto, tuna steak with sesame seeds and peppers, and pumpkin veloute are all among Rossetti’s signature dishes. Afternoon tea is available daily between 1:00 PM and 5:30 PM and features a fantastic selection of herbal and traditional teas, accompanied by delicious savoury dishes or a selection of cakes and pastries such as the famous “Sicilian cannoli with ricotta” and “Neapolitan sfogliatelle”. Every year seems like it’s going to be mezcal’s year to break into the mainstream, yet this diverse and often misunderstood spirit continues to hover just below the surface of London’s cocktail scene. It’s there if you know where to find it; but it doesn’t like to make a fuss. 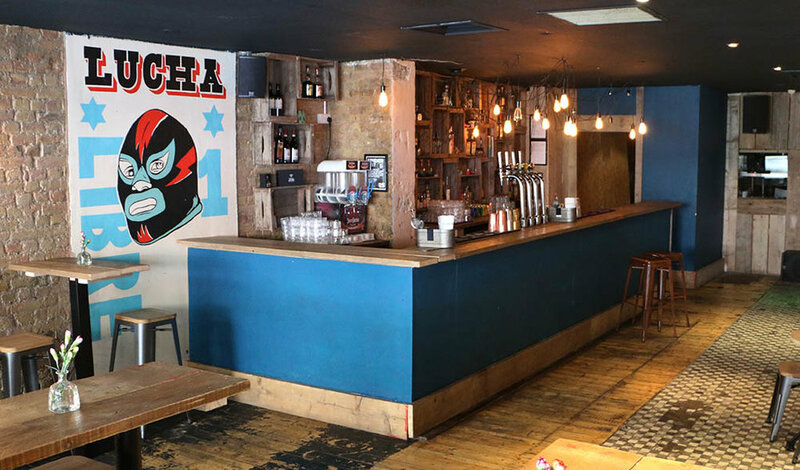 Now, in the midst of winter, it’s fair to say we all need a little more Mexican spirit in our lives, and as luck would have it, Cartel on Battersea Park Road is bringing just that to a small corner of SW London. Since opening in April 2017, owner Andy and barman Josh (formerly of Soho’s El Camion) have been making the most of their Mexican contacts and have built a dazzling collection of mezcal on the box-shelving behind this colourful bar. If heading straight for the sipping mezcal isn’t your thing, there’s also a detailed list of 16 mainly mezcal or tequila-based cocktails (from £8.50-£11), a menu of tacos and quesadillas to soak up all that agave spirit, and a Tequila Brunch every Saturday. Who doesn’t want to start their weekend with bottomless margaritas and a three course Mexican feast? Finally, since mid-November, their authentically tin-roofed Mezcaleria became home to around 100 different bottles of tequila’s older more rustic relative. So that’s where you’ll find us this winter. After all, there’s a 21-year-old Tepeztate we’re dying to try. Never heard of it? You will soon. 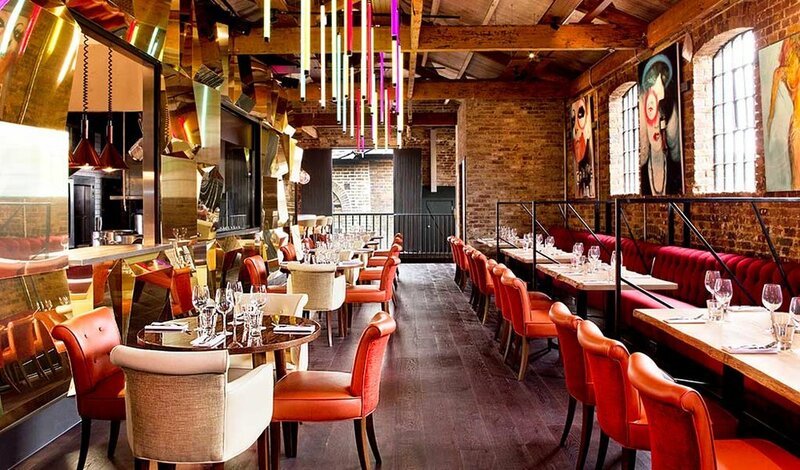 Retro-style furniture, modern art, and a killer menu have transformed the historic Long Stable in Camden Market, London into an all-day restaurant and bar. Leaving the Victorian architecture intact, Gabeto (meaning “our house” in Spanish) provides the perfect place for eating, drinking, working, and lounging under its brick and timber roof. Guests are invited to work on the outdoor terrace by day or mix and mingle at the cocktail bar by night. The venue, which can be booked for large events, offers formal and informal eating spaces that accommodate a quick lunch at a zinc-topped table or a long dinner in a large booth. The menu is a British-Latin fusion from Head Chef Lee Andrews that includes entrées such as Scottish lobster tail and smoked cauliflower steak, while bar manager Tony Safqi has concocted a unique sampling of wines and a longer selection of cocktails that features Central and Latin American flavors. This innovative eatery can be accessed every day of the week via Stables Gate off Chalk Farm Road. If you have ever had a simultaneous craving for homey and high-end provisions, a scroll through 8 Hoxton Square’s Instagram will be a feast for your eyeballs. If you score a table at this instant hotspot, it is a feast for your taste buds as well. The unpretentious décor boasts exposed brick, pleated vinyl counter covers, and unfinished wood. Picky eaters and adventurous palettes can finally dine together without tension because this restaurant’s wide-ranging menu serves classics like cornbread, fries, and chocolate ice-cream, as well as daring combinations like scorched octopus served over potatoes. The unassuming vibe of the restaurant feels intentionally underdone- even trendy- but it serves a superior purpose. 8 Hoxton Square doesn’t splurge on expensive decorations or social media influencers. Their Instagram features clear, direct shots of their food and behind-the-scenes snapshots that appear to be taken by a layman with an iPhone rather than by a professional food photographer. They channel these savings into producing delicacies without inflating the cost. Nearly any glass of wine from their extensive drink list will only lighten your wallet by about €4.00. London locals should book a reservation for 8 Hoxton Square’s Sunday Lunch menu, so they can enjoy a feast at the discretion of the chef. Delicious food should fill your belly, not empty your wallet. Tie your silk scarf and brush up on your French. French perfumer diptyque has teamed up with Hotel Café Royal in London to serve an exclusive afternoon tea inspired by the brand’s most popular fragrances. The Paris-based brand, which was founded in 1961, is traveling across borders to serve up a chic café experience. At the Oscar Wilde Bar, guests will taste four pastries created by Executive Pastry Chef, Sarah Barber, inspired by flavors and ingredients. Sponge cakes, buttery pastry tarts, rich creams, and shortbread are given a sweet twist of French luxury. Rose Victoria, Lemon Verbena, Tahitian Vanilla Bar, and Violent and Cassis Tart will be placed at the center of the table next to each of diptyque’s corresponding fragrances. Pinkies up! You are a red-blooded American taking a trip abroad. You land in London and after a few days you begin to feel a little homesick. You have a strong desire to reconnect with your country if only for a brief moment. So, you walk inside of the acclaimed London restaurant JW Steak House, sit down at the bar and lo and behold: Bourbon. The nectar of the gods finely crafted in the USA and plenty of it. JW boasts a selection of over 150 different bourbons including single barrel, small batch, and pre-prohibition. As if that were not enough they even have their own variety of single barrel Jim Beam, handpicked from the distillery, that can’t be found anywhere else in the world. If your desires swing more to the cocktail end of the spectrum JW has you covered with a cocktail menu that includes several bourbon classics as well as special seasonal drinks. Visit this little slice of America the beautiful if you ever find yourself in London. Elaborate French dining has arrived in Marylebone London. Les 110 de Taillevent is a descendent of the two-Michelin star restaurant, Le Taillevent. So you already know you are getting a bang for your buck. 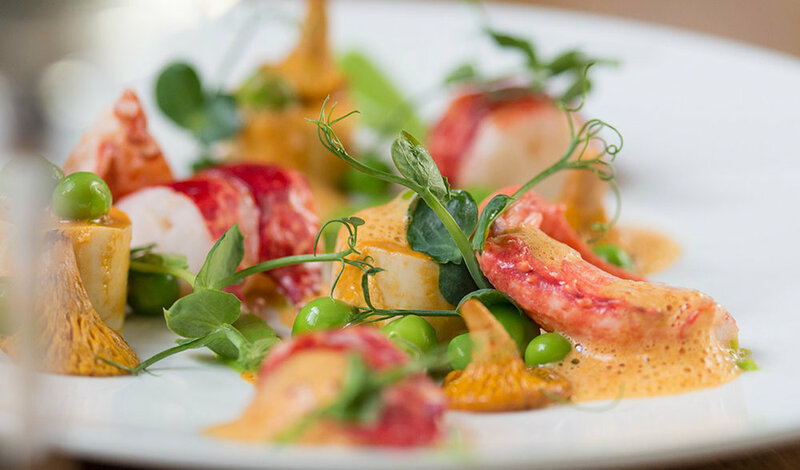 High quality, seasonal and contemporary French dishes are paired with perfect wines to ensure the best tasting notes are brought out of each dish. Every course is matched with a wine out of their extensive wine list. 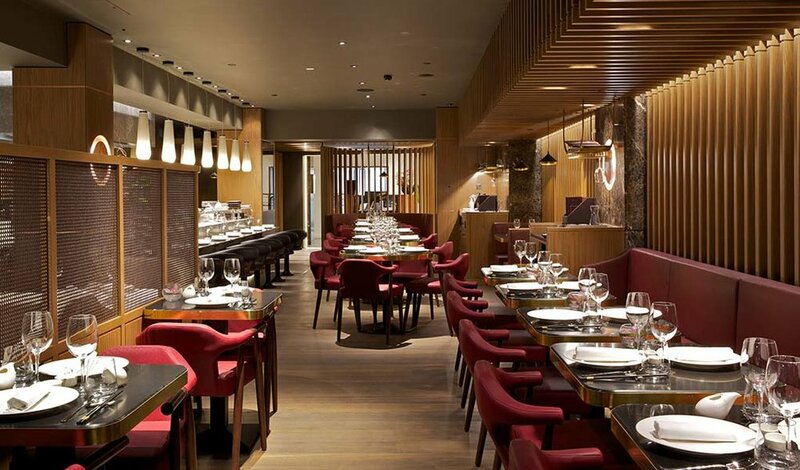 Les 110 de Taillevent has accumulated a 1,100+ wine list that is one of the most to offer in London. The chicly designed restaurant has 110 wines to choose from by the glass and these glasses pair extraordinarily well with whatever you are having, whether it is the Wild Sea Bass main course or the Wild Pigeon main course. 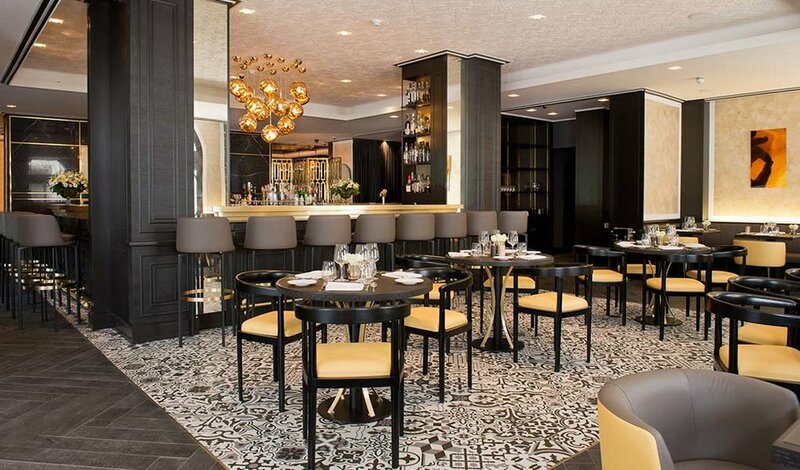 Dine luxuriously like the French overlooking Cavendish Square in London. SUSD, a creative real estate consultancy, brought a new meaning to desk-to-drinks when they launched the Devonshire Club. The Club is designed as a two-floor space to be used for doing work or grabbing drinks. The area boasts three distinctly different bars, two lounge areas, and one eatery full of fresh, delicious foods. After working hard and imbibing, guests can relax in rented bedrooms. Single and family accommodations are available, with over 68 amiable choices. Complete with sprawling Apple TVs, high-speed WIFI, and Hypnos beds, these luxurious rooms can be utilized by members and non-members alike. 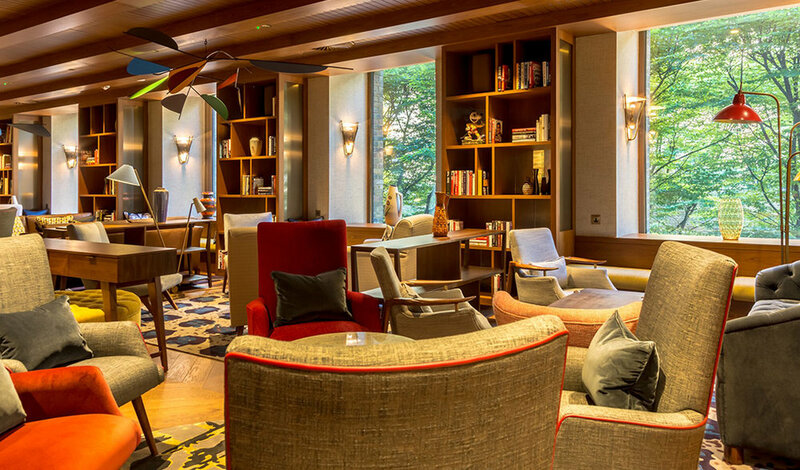 The Devonshire Club is built in the heart of London, next to both the financial district and trendy nightlife neighborhoods, so there is plenty for club-goers to do if they can tear themselves away from the superb amenities. Every great restaurant has it’s own unique touch, an extra bit of inspiration that makes a dining experience truly special. For Hakkasan, a Cantonese restaurant that first took London and then the world by storm, that inspiration comes from the Chinese solar year. This summer they’ve put together a menu that melds both ancient Chinese culture and with the kind of cuisine best suited to the warm weather of the summer months. The menu consists of an eight-course meal, each course conceived with summer nutrition and Chinese philosophy in mind. 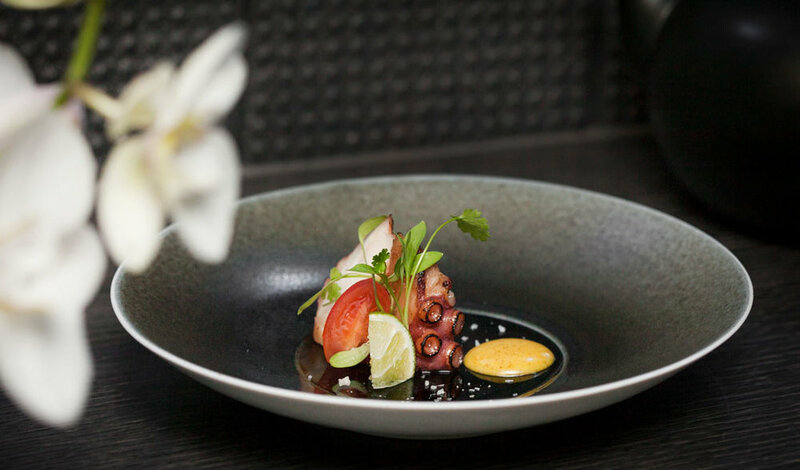 The food items are delicious, featuring plenty of seafood such as seared scallops in XO sauce and chargrilled octopus, as well as plenty of fruits and vegetables. To make things even better, the ingredients are chosen not only for their flavor, but to relate to the idea of yin and yang, which holds that natural harmony which can be achieved by eating or drinking foods that help both the body and the spirit. The menu can be paired with both alcoholic and non-alcoholic flights. With so much attention to detail, your taste buds and your body will walk away satisfied. Isolated from the hustle and bustle of the busy London streets, you wrap a fur throw around your shoulders and take in a deep sigh. Winter may be here, but you're sheltered in the warmth and comfort of the Siberian Hideaway and quite frankly, wouldn't have it any other way. Hyatt Churchill is one of those places you eagerly anticipate visiting once winter rolls around and this year was no exception to that way of thinking. With the sparkling icicles and glimmering Northern lights surrounding the entire terrace, the reindeer fur throws, pillows and hot water bottles and the embracing warmth from the heat lamps, you melt away from the stress of the outside world, sink into your chair and do that thing we rarely do these days; relax. With your mind at ease, the cocktails begin to flow - a carefully crafted and curated selection of Siberian themed cocktails encompassing the premium Beluga Vodka at the heart of the collection. 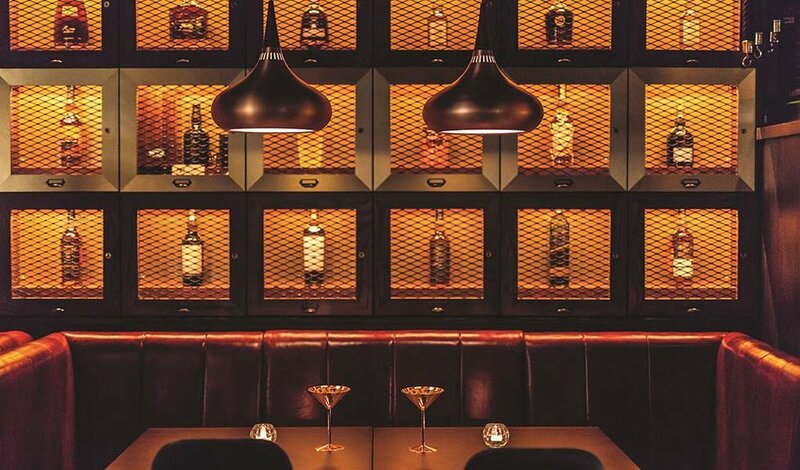 A diverse range of Siberian themed cocktails sit in the tipple spotlight, each one with a distinct story. Take for example the White Fur Warrior, encompassing both sake and absinthe toasted marshmallows and based on the cultural mixes of both Siberian and Mexican traditions in the 19th century. Or the Boreal Glacier Martini based on century-old traditions which takes inspiration from Mariinsk Distillery, one of Siberia's most renowned distilleries. Finally, great drinks deserve to sit alongside great food, which is why you'll find a selection of Siberian Winter snacks, including everything from winter fondue's to Siberian caviar. Just mere footsteps from Monument station a new luxury cocktail bar has risen from the flames, taking mixology genius to a whole new level. I am of course talking about the newly opened Ember. Hidden within the basement of an old historic building on the very street that the 'Great fire of London' began, is this new London gem. But this is no typical basement, a modern and inquisitively inviting space has taken the best part of 12 months to craft and perfect. There's even 3 hideaway rooms for private and more intimate gatherings, each with their own unique charm. The food is a taste sensation, a variety of small plates designed to entice your palate and evoke every taste bud within; from the sweet and salty and to the bitter and sour. 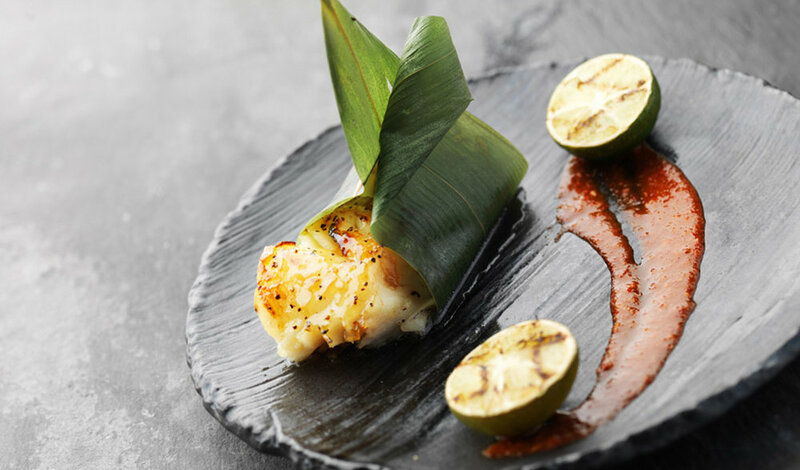 Guests can expect to experience an assortment of small plates including the likes of swordfish sashimi, wagyu & foie gras sliders and goat curry to name just a few. A vast assortment of incredibly tasty and well thought dishes to evoke excitement. It was clear from the get-go to see passion flowing from behind the bar, a seamless interaction of imbibe crafters, embracing each shake, stir and pour as if it were a theatrical performance. They know they're bar, they have the skills and by god are they not afraid to show it. Some serious thought has gone into creating these modern asian themed cocktails. Take for example the ‘Japanese Hard Shake’, which is a modern asian twist on the espresso martini; encompassing Johnnie Walker Black Label, Araku Rum Coffee Liqueur, vanilla espresso and anise infused rice milk. Another spotlight on the menu, Matcha 3 looks to sweet-basil infused vodka, plum sake & lime juice with dry curaçao with lemongrass pearls, matcha green tea foam and micro-herbs. The flavor combinations are to point and it's evident that the team has been working the mixology field for a while. Just as you thought you couldn't top the cocktail experience, you discover the 'Mountain Mist'. Clover infused Hennessy cognac and Bulleit rye with amaro montenegro, benedictine with chilli and ginger and orange bitters, topped off with pine-scented burnt fog that combines all senses in harmony. So put simply, here's the summary: Ember is a place to watch and keep on your radar over 2017. It may have just opened its doors, but there is an unquestionable amount of skill that is only beginning to take form. The food is great, the drinks are fantastic and the value for money even better. You find yourself in the heart of London in the blistering cold, surrounded by crowds of people left, right and centre - but before you sits a solace in this madness, a haven of comfort, delicious food and most importantly, great cocktails. 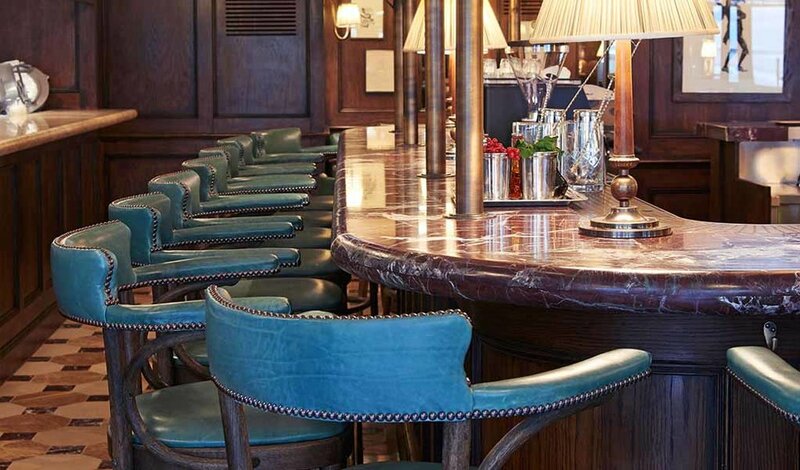 While Cafe Monico may be situated so centrally, the general vibe couldn't be more opposite. Bespoke, warm and sophisticated would be the perfect word to describe this upscale cafe that takes you back in time to a 1950's Paris era. The downstairs bar in the perfect place to take refuge and explore one of the many Italian themed cocktails on the newly launched menu, while the simple but tasty menu combines the perfect amount of choice to allow you to take a moment to breathe and indulge. If you want a little more privacy then the upstairs balcony area is ideal. Little pockets of private tables nestle around the antique oak walls, each conversation it's own. There's a reason Soho House properties have such a great reputation and that's because they take into consideration every minor detail. Every touch, from the glassware to the ambience and even the bread and gourmet churned butter brought to the table - they get it.